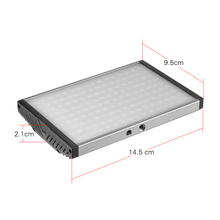 144pcs SMD LED beads, max. 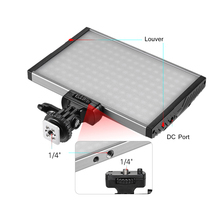 1500LM, brightness can be adjusted from 10% to 100%. Bi-color temperature can be adjusted from 3200K to 5600K. 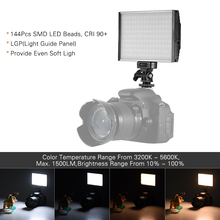 CRI 90+, present vivid and real subject color. LGP lighting source, provide brighter and softer light. 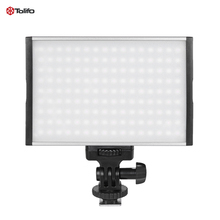 LCD screen displays color temperature and brightness, easy for you to control the lighting condition. Made of durable aluminum alloy, with louver on each side for maximum heat dissipation. 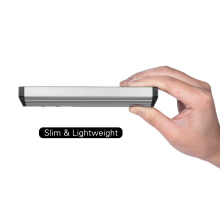 Ultra-thin and lightweight, portable for you to carry and store. 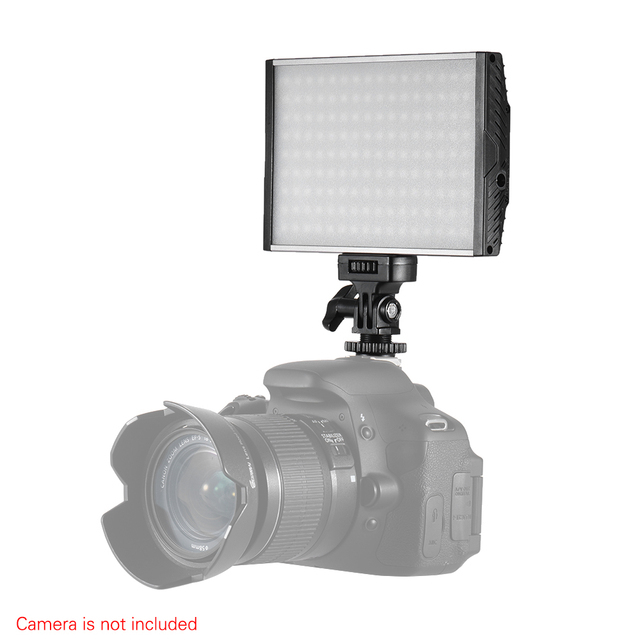 Comes with a high-quality hot shoe, can be used for photography of wedding, children, product, news interview and etc.